This has actually happened! After 30 years of winter sailing and racing in variety of venues and conditions our group of enthusiasts and champions have finally decided to combine our knowledge and skills to design and build a universal and affordable device suitable to anyone. 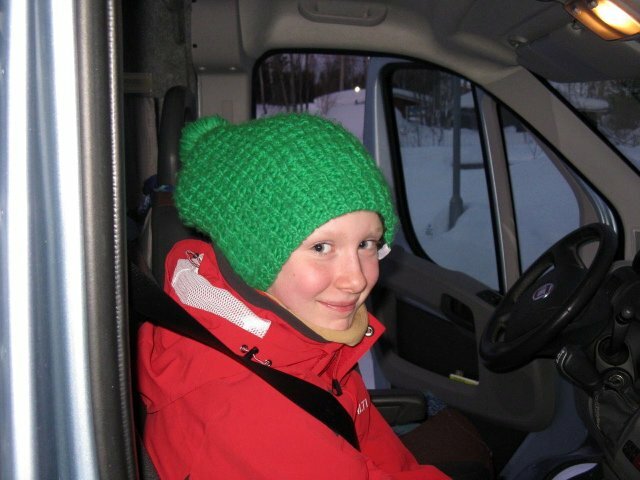 MUST is designed for speed: it is stable and comfortable as on the ice as on the deep snow. MUST is designed for race: it may be tuned to any conditions and the sportsman's liking. MUST is designed for style: it allows carving sharp jibes and tacks, may dance on a very limited spot. 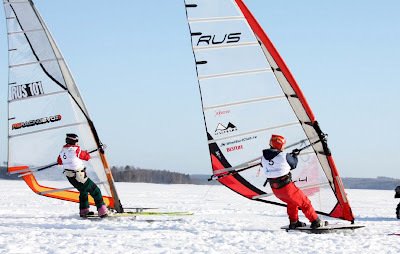 MUST is designed for you: if you have standard windsurfing rig for the summer, you may hop on and sail all winter long. We can fit the MUST individually for you! 1/2 Axel (Axle): (kite trick) a 2 line stunt kite trick that is a neat way of changing direction rather than a carved turn. At the edge of the window, having done a ground pass, release the top wing and then pop the same side. The kite will make a half turn and then pull back on both lines to fly off in the opposite direction. 360°: (kite trick) in very light or zero wind, you can fly your kite outside of it’s normal 180° wind window and complete a 360° circuit around the pilot. Start by flying right out to the left edge in a nice straight ground pass, then as you reach the edge start to walk backward to power the kite around, keep the kite’s speed up until you reach the beginning of your wind window on the other (right) side. Aerodynamic: having a shape that is not adversely affected by wind blowing past it. Angle of Attack: also known as the angle of incidence (AoA or AoI) is the angle with which the kite flies in relation to the wind. This angle is adjusted from the bridle. AoA: see Angle of Attack. Aspect Ratio: the ratio of a kite calculated from it’s height/width. Kites are referred to as having a high aspect ratio (like the Flexifoil Stranger) or a low aspect ratio. Backing (wind): the change of the wind direction, opposite of veering Clockwise in the southern hemisphere, counter-clockwise in the northern hemisphere. Back to Front: (buggy trick) To travel backward, do a 360°, and finish up traveling off forward in the direction you came from. Backsplice: a method of weaving the end of a line to keep it from unraveling. Ballet: a routine which is choreographed to music, used in competition by teams, pairs or individuals. Balloon Tyres: very large buggy tyres with a wide crown. Suited for soft surfaces. Batten: length of fibreglass or carbon which fits in a pocket to add stiffness or shape to the sail Often used for wing tip areas. Beam: widest part of a boat, board or buggy. Beam reach (sailing – see point of sail): Buggying such that the apparent wind is coming from the beam side of the boat buggy at about a 90° angle. A beam reach is usually the fastest point of sail. A beam reach is a point of sail between a broad reach and a close reach. Beating: Tacking, To sail against the wind by sailing on alternate tacks (directions) towards the wind. Beaufort: scale of wind strengths from 0 to 12. Named after the English Admiral, Francis Beaufort, who invented it. 0 = no wind whereas 12 = hurricane. Beckett: a loop at the end of a line. Bigfoot Buggy: Buggy set up with large balloon tyres. Bladder: an inflatable inner tube in a kite used to give the kite shape and floatation. Bladders must be pumped up by hand. Brakes: aka (air-brakes) objects which attach to kite or lines to slow the kite or reduce its pull in strong winds. Braking: Using the power of the kite to slow down or stop when buggying. Brake lines: flying lines attached to the kite to slow the kite or reduce its pull in strong winds. 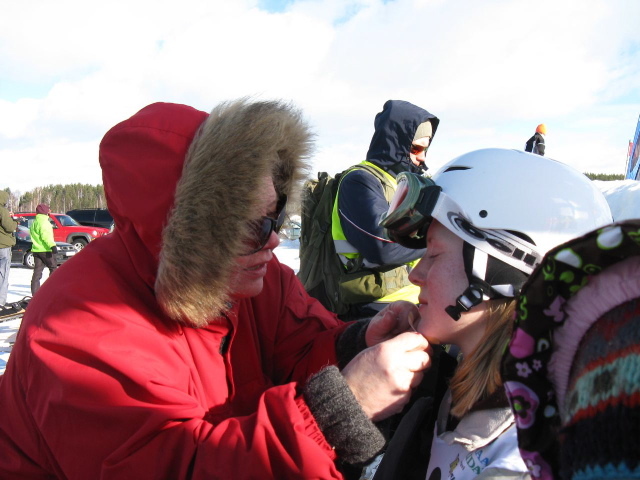 Brake lines lead to a back attachment point (trailing edge) of the kite. Breaking strain: Used to determine line strengths, this is the maximum stress the line can carry before it breaks. Bridle: lines that form the junction between kite and flying line. 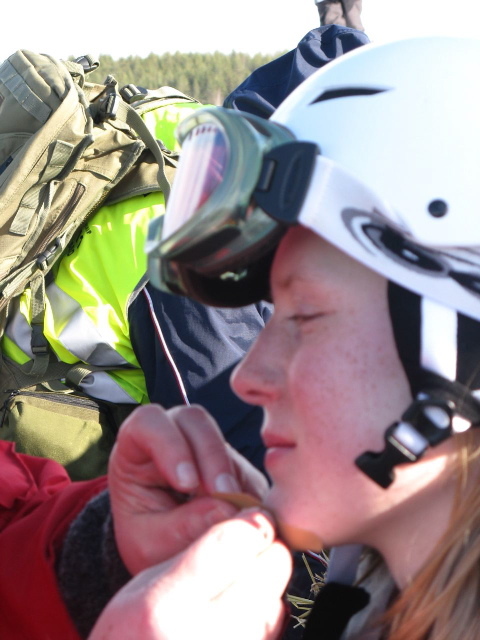 The bridle transmits the commands of the pilot to the kite. The bridle is made up of specific portions. The tow point (where flying lines are attached), in-haul (from the centre T to the tow point) , upper out-haul (from upper spreader leading edge to the tow point) and, lower out-haul (from lower spreader leading edge to tow point). For a more detailed look at different types of bridles (ie, active, dynamic, static etc) see Andy Wardley’s website. Bow: front of boat or board. Broad Slide: (buggy trick) to slide with the back wheels rotating towards the wind. Buggy tricks: for the freestylers. Carbon spars: today’s spars are made of carbon fibre which is a stronger material. Also know as graphite spars. Carrington: A brand of ripstop nylon. Camber: the curvature of an object such as a sail, keel or deck of a boat. Usually used when referring to an objects aerodynamic or hydrodynamic properties. Canopy: while a parafoil is suspended in the air it can be referred to as a canopy. Cascade: Chain of axels to the left or to the right, top to bottom of the wind window. Cell: a parafoil is divided up into equal ribbed compartments called cells. Chikara: A new sail material. It is a nylon cloth developed in conjunction with Vlieger Op (Holland) and Flexifoil International (GB). Chord: (see profile) The measurement between the leading and trailing edges. In the case of a rectangular shaped the Flexifoil, looking down on the top of the canopy, the chord would be the width. Close reach: Buggying or sailing with the wind coming from the direction forward of the beam of the board/buggy. A close reach is the point of sail between a beam reach and close haul. Coefficient of lift: (CL) a measure of how hard a kite pulls relative to its projected size. Coin Toss: The kite is poised on a wing-top and flight onto the other through an axel. Connector: parts made from moulded plastic, rubber or simple PVC tube which are used to hold spreaders to leading edges. 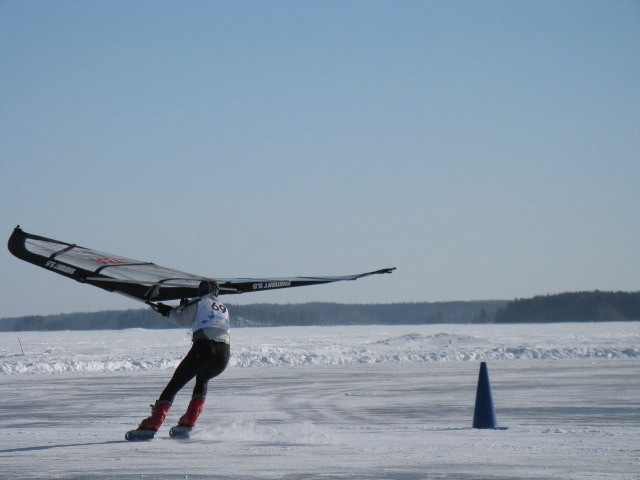 Concept Air: Canadian manufacturer of foil kites including the New Wave and EX models. Control bar: a single bar used by the kitesurfer to control the kite. The kite lines are connected to the ends of the bar. Some kitesurfers use a pair of handles instead. Creep: the amount a line permanently lengthens when pulled. Loosely braided line has a lot of creep, tightly braided has less, linear core line has the least. If all the lines creep evenly, it’s pretty much unnoticeable. On ram-air and hybrid kites, the power lines creep more than the brakes, causing the kite to fly sluggishly. Cross Venting: holes cut into the individual profiles to allow air to pass through between the cells in a parafoil. Curb: (buggying) small vertical ledge commonly found at beach river mouths. Curb Jump: (buggy trick) to jump down off a curb or ledge. Dacron: A synthetic polyester material. Kite line used with beginners or children’s kites. Dead before: running with the wind directly behind the buggy. 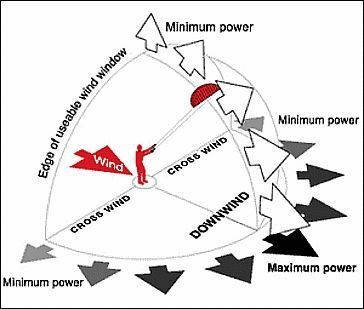 De-powering: used in power kiting, the opposite of Power up, letting the sail out to release pressure and reduce speed. Drift: The inability for a kite to keep on a straight line, or in buggying and kite-surfing, the sideways pressure due to the action of the wind on the sail. Drogue. Typically shaped like a cone, used to increase the drag. Dual Line: Kite which is flown using 2 lines of equal length. Having 2 lines enables the pilot to steer the kite right or left. Ease: to loosen the lines that control the kite. 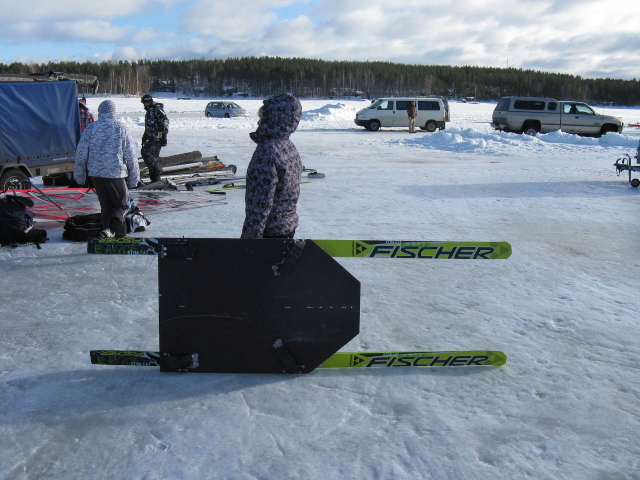 Edge: (as with skis or a snowboard) the under edges of the board which keep the thing pointing where you want to go. End Cap: Small plastic cap which fits over the end of the spine to prevent it from punching through the sail. Equalize: adjusting the flying lines to exactly the same length, giving precise control. Fade: (kite trick) A turtle, but with the nose of the kite pointed towards the pilot. Fat wheel: 480-400-8 wheelbarrow tyre on an 8? hub. Ferrule: a hollow tube to join 2 spars together. Can either be glued to the upper leading edge spar, or lightly glued then taped on for ease of removal. Fighter: single line kite, generally of Asiatic tradition. Fighting consists of cutting your opponent’s kite from the sky by means of line coated with powdered glass. Flat Spin: The kite nosedives towards the ground and swings around flat before re-taking it’s flight. Flic Flac: (kite trick) A rapid chain of turtles flipping the kite on it’s front then its back from the top to the bottom of the window. Footstraps: (buggy) straps used to keep your feet from bouncing off the pegs. Fore: towards the front of your buggy. Foul: when a line ends up somewhere it does not belong and becomes jammed. Lines can foul on winglets, wing tips and nocks. Hence the use of an anti-foul or trick line. Frame: the collection of carbon or fibreglass spars that form the skeleton of the kite. Freestyle: style of flying which includes up-to-date tricks of more or less difficulty put together in rapid succession. When a kite is referred to as “Freestyle” it is typically a good all round performer, capable of many tricks but having a generally steady pattern of flight. Fronts: used in meteorology to describe boundaries between hot and cold air masses. This is typically where bad weather is found. Front of sail: the side of the kite that faces the flyer when the kite is in action. GRP: fibreglass used for spars. Gale: a storm with a wind speed between 34 to 40 knots. Gauze: see-through net like fabric, can be made of thin wire used for allowing the air to pass through in the venting of stunt kites for use in higher wind, or placed at the opening vents of a foil. Granny knot: a bad knot that was probably tied in error, will not necessarily hold fast, and may be difficult to untie. Hard Terrain Buggy: Very stable buggy with heavy duty frame. Hard Terrain Riding: Riding in various non flat terrain. Dunes, moguls etc. Icarex: Modern sport kite sails are made from Icarex. There are basically 2 types of Icarex. Icarex polyester (P31/P38 – P31 being lighter) and the newer Icarex polycarbonate (PC31) which has a lower stretch rate and looks less crinkly. Icarex is now the preferred kite sail material rather than the older Carrington Nylon which is much heavier. Indoor: flying inside with no wind. Highly technical. Kites are specifically designed for this activity. Irons: In irons, a sailboat with its bow pointing into the wind preventing the sails from filling properly so that the boat can move. It can be very difficult to get a boat that is in irons back under sail. An old square rigger could take hours to get underway again. In a buggy this is no problem as you can move your kite around you. Jacobs Ladder: a stack of Flexifoils, a rope ladder, or a song by Rush Jibe: see gybe. Kentface: (buggy trick) to jump off the top of a hill in a buggy and land on your face at the bottom. Kevlar: man-made fibre used for bridles and flying lines. It has a low stretch and is very strong, but it is also highly abrasive, has a high melting point which makes it cut other flying lines. It is generally banned in competition. Knot: speed of one nautical mile per hour (or the things you use to tie lines together). Land Breeze: a wind moving from the land to the water during temperature changes in the afternoon. Larks head: knot used for attaching flying lines to the bridle. Launch: to send the kite up into the air. Lay: the direction in which strands of line are twisted. Lay line: an imaginary line on which you can sail directly to your target without tacking. Leading edge: side of the kite running from the nose to the wing tip. Lee: the direction that the wind is blowing toward. The direction sheltered from the wind. Leech Line: a line that runs inside the trailing edge of the kite sail. Prevents vibration and noise. Leeway: the sideways movement away from the wind. Lift: upward pressure which the air exerts on a kite or aircraft, counteracting the force of gravity. Line Set (lines): the strings which are used to control the kite. These lines come in a variety of weight and lengths. Stronger weight lines being used for stronger winds and bigger kites. Recommended lines should be made from Spectra (see Spectra). Longeron: Another name for the spine, or any other spars which are run the length of the kite. Loop: manoeuvre which consists of performing a full circle, the tightness of which depends on the amount of control given. Luff: (i) A term used to describe that edge when the airflow around it stalls. (see luffing) (ii) to lose tension on the flying lines due to the kite stalling. 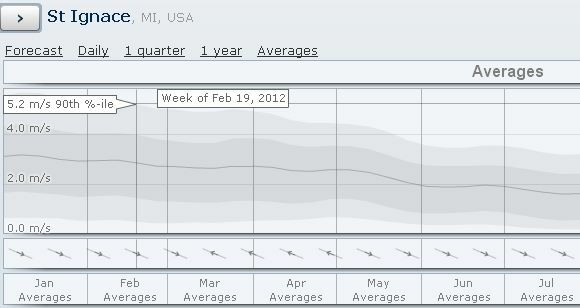 Lull: A period of no wind. Lulls may be followed by a significant change of wind speed and direction. Mega Team: formation of numerous pilots into a large team. Very popular at festivals and at the end of competitions when the pilots have a get together. Mincing: (slang) when the wind is perfect. Mylar: A laminated film which is strong and very low in stretch. Used for reinforcements and on its own in areas of the sail needing more stiffness. Nautical Mile: Distance at sea is measured in nautical miles, which are about 6076.12 feet, 1.15 statute miles or exactly 1852 meters. Nautical miles have the unique property that a minute of latitude is equal to one nautical mile (there is a slight error because the earth is not perfectly round.) Measurement of speed is done in knots where one knot equals one nautical mile per hour. Nock: The plastic cap at the tip end of the leading edge spar which has a groove dug in for the bungee cord to tension the sail. The trick line is also attached to this. The word nock comes from the arrow, the point where the arrow stretches back on the line at the bow. Off the wind: Buggying with the wind coming from the stern of the buggy. On the wind: Sailing close hauled. Sailing toward the wind as much as possible with the wind coming from the bow. Outhaul: Part of the bridle which can be adjusted to move the tow point toward the wing tip or toward the center. This adjustment affects turn rate of the kite. Oversteer: tendency of some kites to over rotate after turning. Pair: (2) a team of two pilots flying together. Parafoil: invented by parachute designer Domina Jalbert in 1963, this is a kite which is based on the aerofoil wing shape and does not require any rigid frame for flight. Can also be called Rogallo, square, ram-air, wing, ram-jet, and paraglide. Parakart: Alternative name for a buggy. Payout: to let out line. Peg Stand: (buggy trick) to stand up on the foot pegs with your rear out of the seat. Planform: (design) view of a foil looking down from above. Planing: in kite-surfing, the board rises up at speed as an effect of pressure. Pop: (to pop the line) a quick flick of the wrist used for doing tricks (ie an axel) – this is done with the same speed as flicking a towel, except the flick or pop is done towards you rather than away from you. Power Kiting: traction kiting, or a more extreme form of kiting, where the kites can pull you along in a buggy, surf board, snow board, skis or just your bare feet (also called scudding). See Buggying. Power up: in windsurfing, pulling the sail in tighter to you to increase the pressure and therefore accelerate. Precision: method of flying which demonstrates the pilot’s mastery over the kite and is by definition, precise. In competition, a series of compulsory maneuvers and freestyle section performed in front of judges. Prevailing winds: the typical winds for a particular region and time of year. Profile: an airfoil, the side view of a foil. The upper and lower surfaces of a kite are separated by a number of evenly-spaced airfoil shaped ribs. Also referred to as the profile. Projected area: The apparent area of a kite while it is being flown, as opposed to lying flat on the ground. 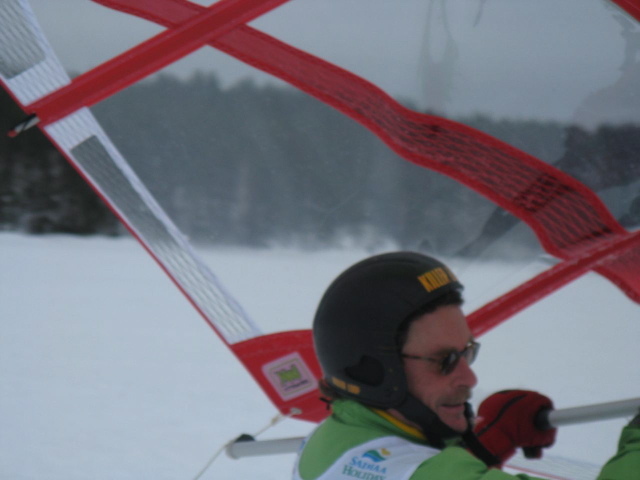 Pull Turn: A dual line kite can be steered with either a push or a pull turn. If you were to pull the right line a couple inches towards you, the kite would turn to the right. 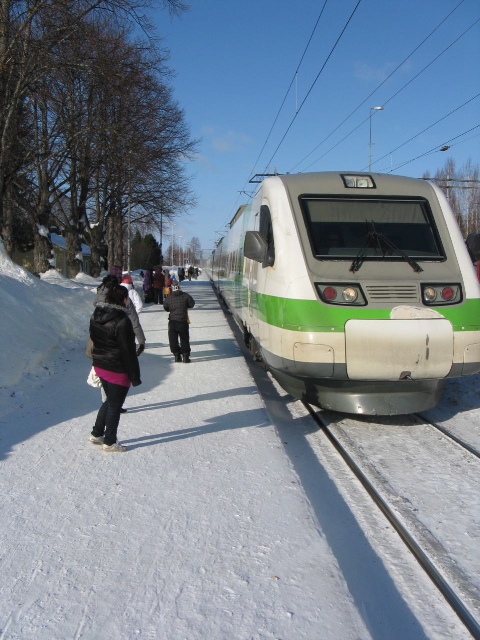 A pull turn is more graceful than the push turn (see below). Push Turn: (see pull turn). A push turn results in a sharper turn, good for square cut or angled turns. A push turn will have the opposite effect as a pull turn. If you were to push the right hand line on a dual line kite the kite would turn to the left. The right wing being tipped backwards. A kite can also be turned with a combination push/pull turn. (ie to turn the kite more quickly or dramatically to the right you can pull on the right line while pushing with the left line. Quad line: Kite flown on four lines. Having 4 lines has the advantage of not only being able to steer left and right like a dual line, but you can also move the kite up and down (forwards or backwards) in the wind window. Quarter: the side of a boat behind the widest part. There is both a port quarter and a starboard quarter. Reaching: Any point of sail with the wind coming from the side of the buggy/boat. If the wind is coming from directly over the side, it is a beam reach. If the buggy is pointed more directly into the wind it is a close reach. If the wind is coming from over the quarter, it is called a broad reach. Re-launch: to launch the kite again. Ripstop: made from nylon or polyester, it is the type of cloth usually used for kite sails. Ripstop refers to the squares of reinforcing fibres in the cloth which make it resistant to tearing. A rip will stop at one of the reinforcing fibres. Running: A point of sail where the buggy has the wind coming from behind. Sail (skin): refers to the cloth material that the kite is made from (excluding the frame) which is usally made of nylon or polyester Ripstop or Icarex. Safety harness: A device worn around a person’s body that can be attached to lines to help prevent a person from becoming separated from the kite. Scud: (i) to be pulled along the ground by a kite, whilst standing. Best done on a sandy beach. (ii) when a boat runs before the wind in a storm. Shaper: (kite surfing) a shaper is a board maker, who makes boards by hand or in small production runs. Sheeting in: the trailing edge is pulled towards the wind increasing the AoA (angle of attack). Single line kite: kite flown on one line. Sleeving: short ‘sock’ which encapsulates the ends of flying lines and helps to preserve strength and prevent wear. Snap Stall: Air is forced out of the sail very quickly. Fly the kite left to right parallel to the ground. Pull left to initiate a left turn, then punch right to counteract that motion, then return both hands to neutral position. This is done very quickly, in a split second. The kite should stall with the nose up, wing tips parallel to the ground. Snub: to suddenly stop or secure a line. Span: (design) looking down from on top of the kite, the span is the length (see chord). Spar: the sticks used as the frame of a kite. Spectra®: Also known as Dyneema in Europe is the acceptable standard for flying lines. Can be compared to look like dental floss but because it is so slippery will allow multiple line wraps without breaking. Splice: the place where two lines are joined together enabling the strength of the line to be greater under stress than knotting the two pieces together. Spreader: Also known as a cross spar, these are the spars that run horizontally across the span of the kite opening out the sail. Most modern stunt kites will have 2 lower spreaders which run from the spine to the leading edge, and one upper spreader which runs from leading edge to leading edge, although if a kite is smaller it may only have one spreader running from the leading edge to leading edge. Squall: a sudden intense wind storm of short duration, often accompanied by rain. Squalls often accompany an advancing cold front. Stability: the balance of the kite enabling it to fly with good control. Stall: As the name indicates, it’s stopping the kite on the spot in the window. Air is said to stall when it becomes detached from the surface it is flowing along. Usually air travels smoothly along both sides of the sail, but if the sail is not properly trimmed, the air can leave one of the sides of the sail and begin to stall. Stand-off: short length of carbon or fibreglass which runs between the trailing edge and lower spreader There may be two, or up to six. Stern: the aft or back part of a boat or buggy. (could also be said to describe your father when you were younger). Straps: usually made from soft webbing these are attached to the flying lines, from which the pilot controls the kite. T-Piece: section of the kite where the lower spreader joins the spine. Tack: To change direction, particularly to turn upwind. As opposed to a gybe which is downwind. Tacking: To change direction, turning into the wind. Tail: a length of nylon or plastic which is attached to the kite for visual effect or to cause drag (on a single line kite). Also the term to describe the lower end of the spine. Tandem Buggies: two buggies joined together. Tandem Axle Buggy: 5 wheel buggy with two wheels on in front of the other on each side of the back axle. Team: a group of three or more kite flyers who perform together in formation. Equivalent of an aircraft display team. Tip Drag: to drag a kite’s wing tip on the ground while flying along. Tow point: the part of the bridle to which the flying lines are attached. Track/Tracking: The kites ability to keep on a straight path. Trailing edge: the edge of the sail running from the wing tips to the tail. Can also be called a leech. The trailing edge may have a leech line sewn in. Trick line: (anti foul line/cheat line): a line which runs from tip to flip through the end of the tail. 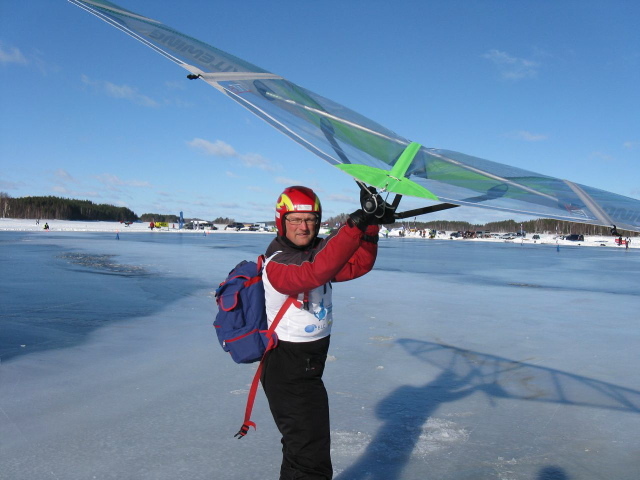 It helps to prevent lines tangling round wing tips-especially useful for freestyle and tricks. Trim line: (kite surfing) a line that adjusts the angle of attack (primarily used for inflatable 4 line kites) which runs from the wingtips to the control bar centre or through a hole in the control bar attaching to the harness. True wind: the speed and direction of the wind. The motion of a boat will cause the wind to appear to be coming at a different direction and speed, which is known as apparent wind. Turtle: Flipping the kite on it’s back and giving a lot of slack to the lines; the kite descends the window in this position. UL (Ultra Light): a kite designed for very light winds or indoor flying. Upwind: to windward, in the direction of the wind. Vane: A flat device that is affected by the wind. Vanes are used in wind direction indicators and some self steering gear systems. Veer: A shifting of the wind direction, opposite of backing. Clockwise in the northern hemisphere, counter-clockwise in the southern hemisphere. Velocity made good (VMG): Actual speed after adjusting for such factors as current and leeway. Vented Kite: A high wind version of a performance kite, usually with a netted gauze replacing some sail panels to allow the wind to pass through. Ventex: Sail cloth, made from polyester. It was specially developed and branded for HQ/Invento. Water start: (kite surfing) starting in the water. Wheelstand/Wheelie: (buggy trick) to travel along in the buggy with one of the wheels in the air, usually the back wheel. Whip: to bind strands of a line with a small cord. Whisker: (aka wisker) see “stand-off”. Winders: Lines are stored on winders. Ensure that when lines are wound on that you wind them off the same side of the winder. This will stop any twists forming in the lines. A figure 8 or pro-winder works best. Wind range: used to describe the range of winds that a kite will fly well in. Usually given in mph or Beaufort scale. (Wind) window: a quarter sphere in which the kite flies, determined by the length of the lines. At the edges of the window the kite will slow and has a tendency to fall. Windward: in the direction of the wind. Opposite of leeward. 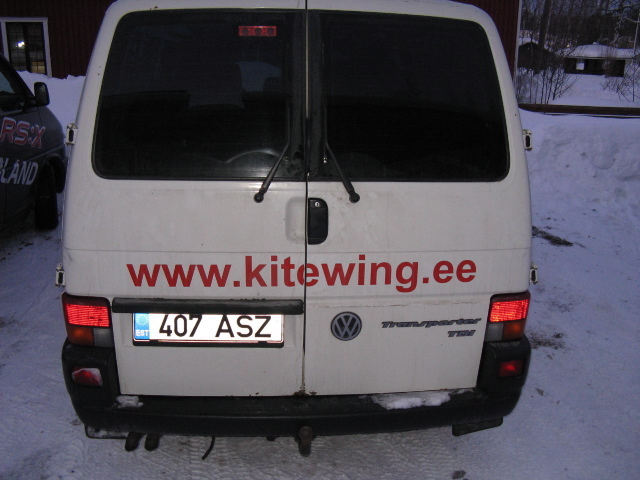 Wing: another name for a kite. Used more in design circles. 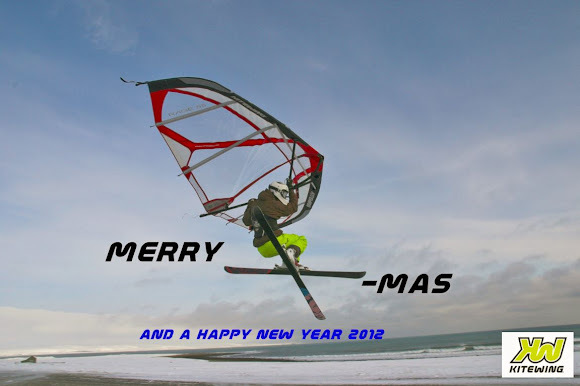 Wishbone: (kite surfing) the control bar, on a wind surfer it’s a fixed curved bar which allows control of the sail. Yo-yo: The kite rolls up and down around it’s lines. Zephyr: a gentle breeze. The west wind. Named after Zephuros, the Greek god of the west wind. Those glossaries are very interesting indeed. No matter how long you are in the sport there is always something that you were not aware of. The snow season has started. Italy has some beautiful snowkite spots. They are spacious and offer lots of touring posibilities. Because they are so spaces kiting with a normal tube kite is possible. Offcourse nice snowkite from Ozone is easier. You can launch and land more independent. But also with the tube kites you will be able to explore areas you can only walk to or snowkite to! 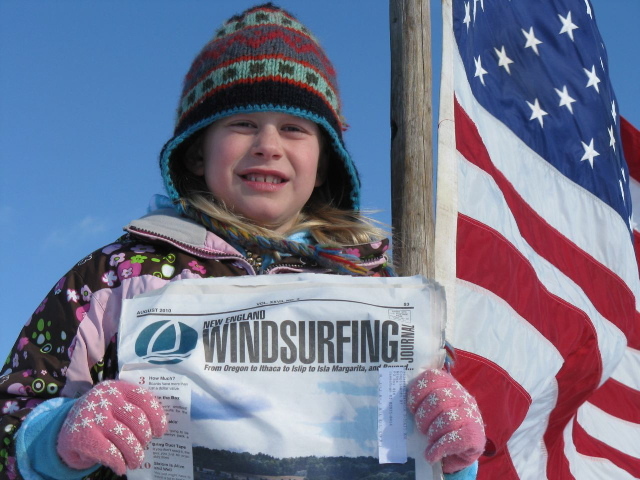 Join Wind Riders on a tour or take a lesson to get into Snowkiting. Mika is all winter in Italy, ready to take you to the nicest spots. 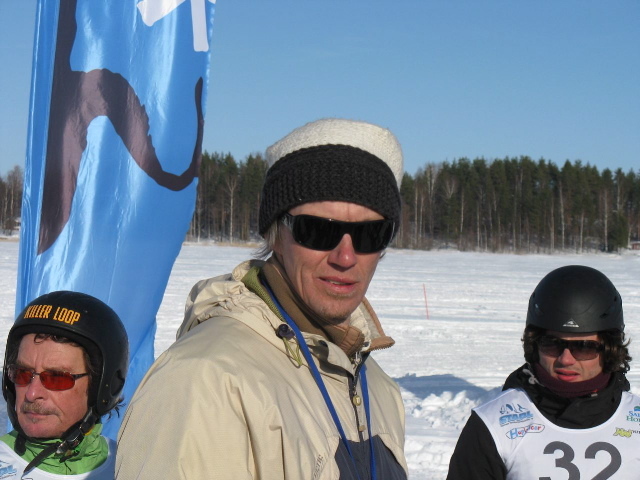 End of February Wind Riders is organizing a snowkite camp. Join us on the snowkite adventure! 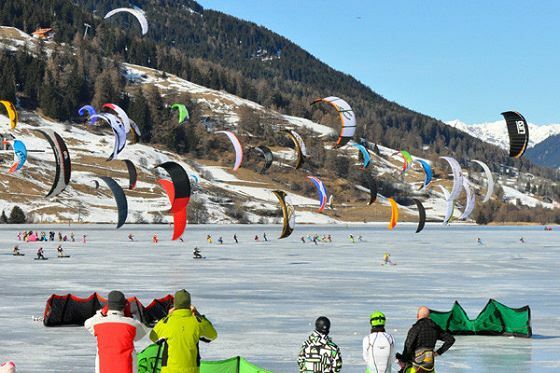 The Snowkite European Championship 2012 will kick off on the 20th January, at Reschensee, in Germany. 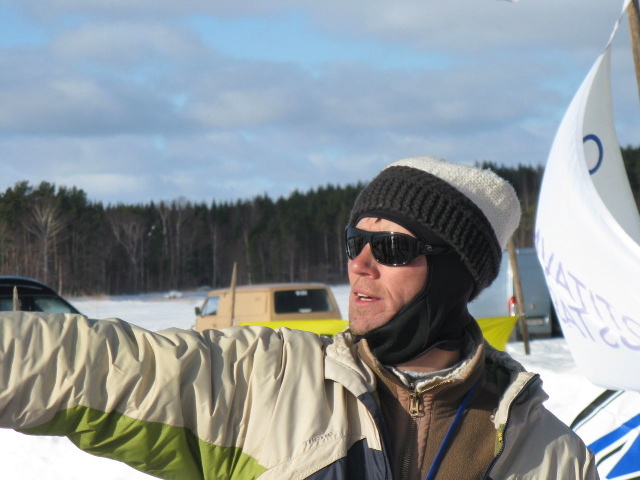 This is the first European contest in snowkiting ever held in the old continent and it will be sanctioned by the International Snowkiting Association. 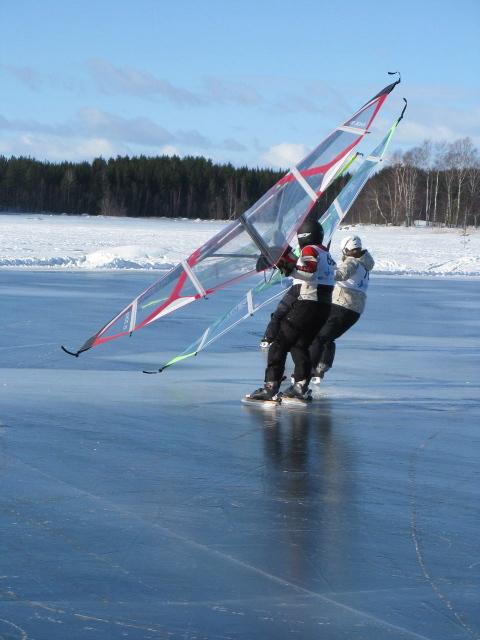 Snowkiting or snow kiteboarding is new variant of kiteboarding in winter and snowy spots. The discipline demands good wind conditions in order to jump over the rocky mountains. Reschensee is located above 1500 metres and will welcome athletes from South Tyrol, Austria, Germany, France, Czech Republic, Russia and Scandinavia. 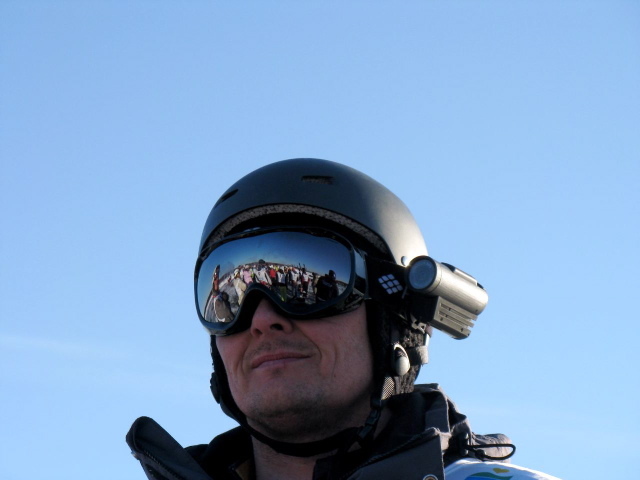 The world's best snowkiters will battle in freestyle and race divisions. 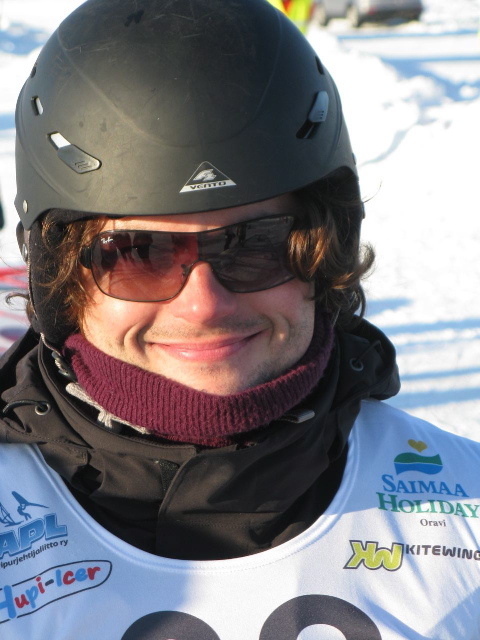 In perfect weather conditions, snowkiteboarders can speed up to 100 km/h and jump to the skies. 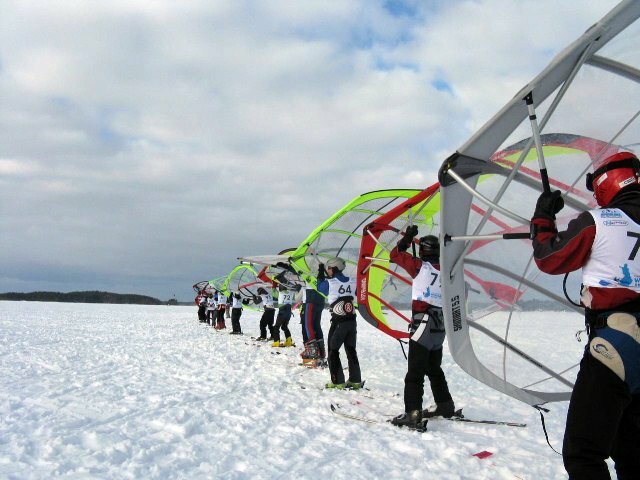 The Snowkite European Championship 2012 will showcase ski and snowboard kiting to crown the greatest men and women in each class. 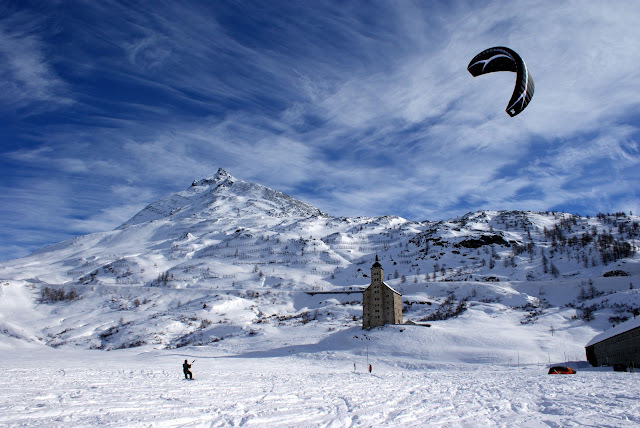 Snowkiting is a winter sport that combines snowboarding, skiing and kiteboarding. On snow you can stand up, which means it's easier than kitesurfing. 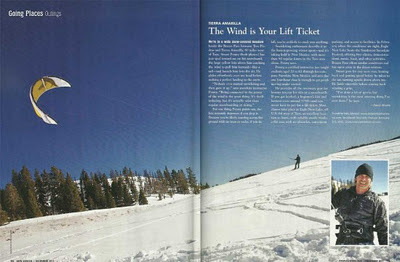 You can even start to snowkite with less wind because it uses less power and energy to kite around. 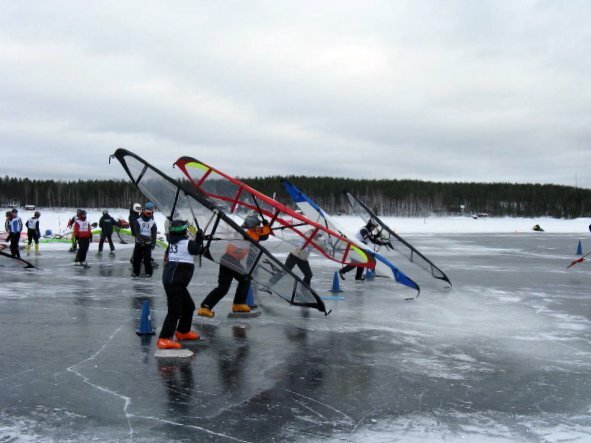 Hiberna Slalom: First Trials of the Season in Arkhangelsk! 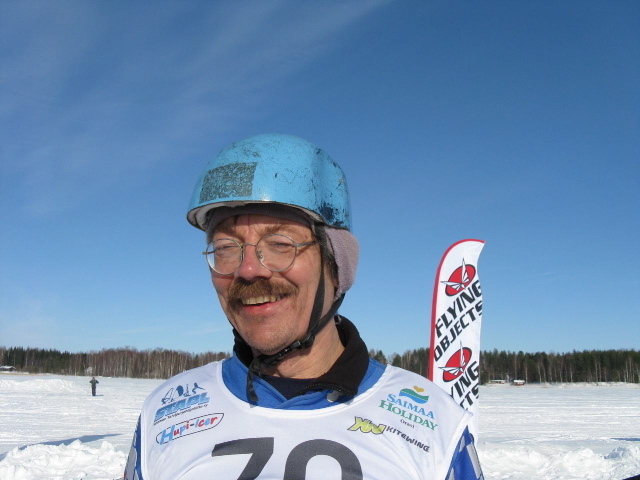 The first slalom races of the season happened on December 13, 2011 in Arkhangelsk, Russia. The participants cleaned up a spot and engaged. For the most of us this is the new kind of sport since there is no real windsurfing at this latitude and it was hard to expect much. However, HIBERNA surprised everyone by how well it could be controlled and how sharp it allowed to cut jibes. 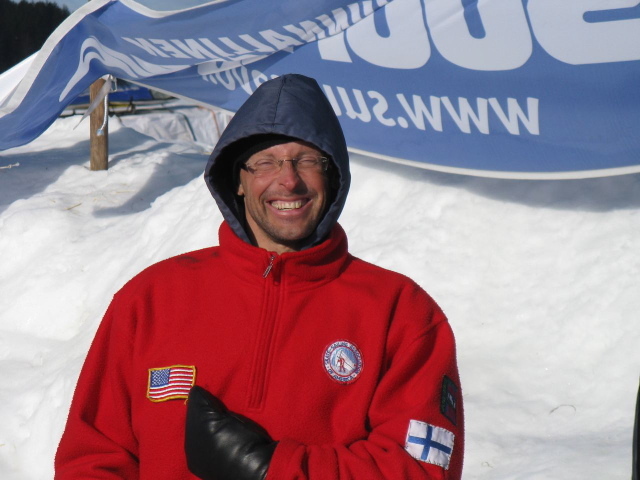 The winner was Khargovski Andrei as the fastest adopter of the technique. These are exciting times! 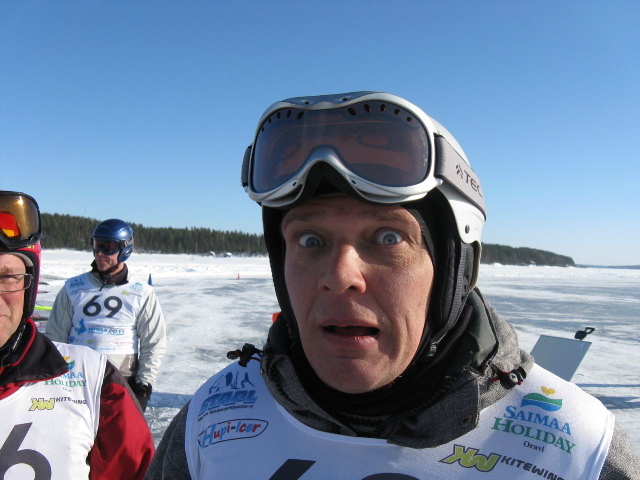 Watch for HIBERNA at Wissa 2012 - dedicated races are planned and ice cleaning machinery is getting tuned up! Preparation to the Championship of the Europe has Started! 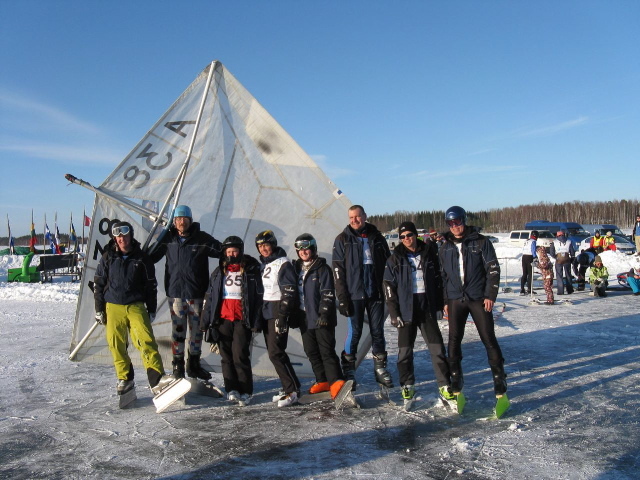 On December 3-4 Russian National team in Ice and Snow Sailing had a training session on Senezh Lake, Solnechnogorsk in line with preparation to the European Championship. 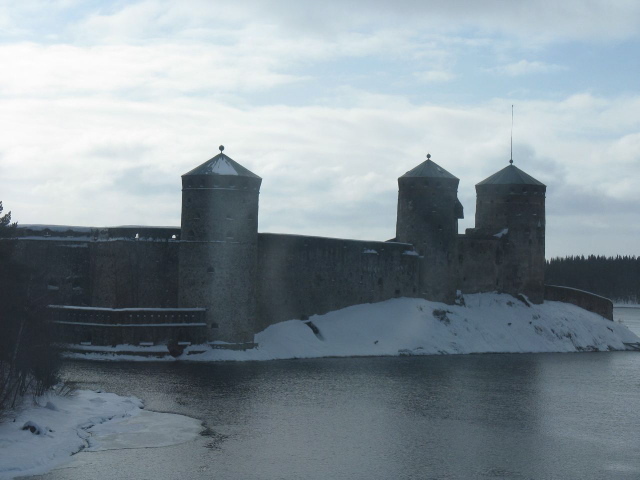 The European Championship will be in Finland, March 15-18, 2012. 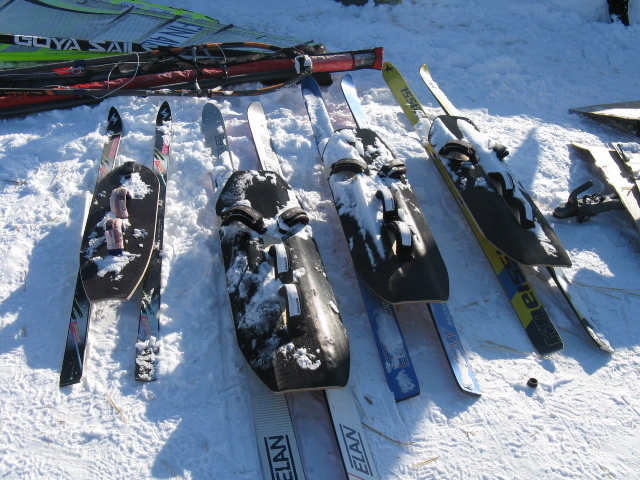 For the first time the National team had run an organized test-drive on sails, skis and iceboards and had an opportunity to choose and decide which equipment will be used for races in 2012. The ice was 4-5" thick, the wind was 15-20kt gusting to 30kt which made perfect conditions for the team to spend over 7 hours each day maxing out every piece of the equipment. 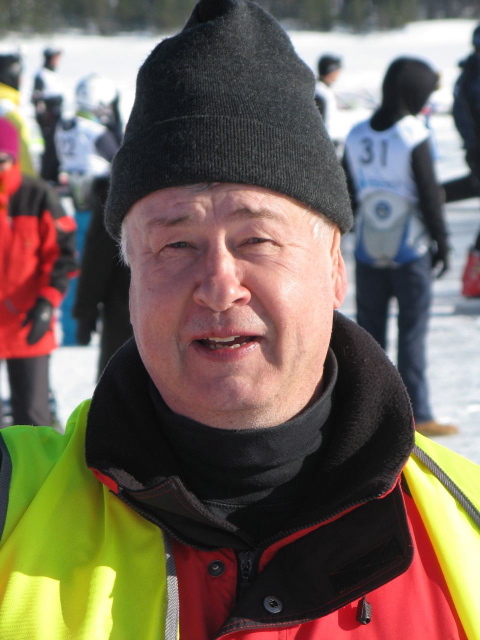 The team included Andrei Khargovski - 2011 World Champion, Vadim Volotskoi - 2010 Champion of Russia, Shabolitov Ivan - the Bronze Master of Europe 2011, and the legendary Andrei Maslov who was one of the founders of the sport in Russia. HIBERNA proved to be capable of running in controllable manner on an spot of the ice-rink size. The universal MUST is equally stable and fast on the hard-packed or overfrozen firn and in the deep snow. 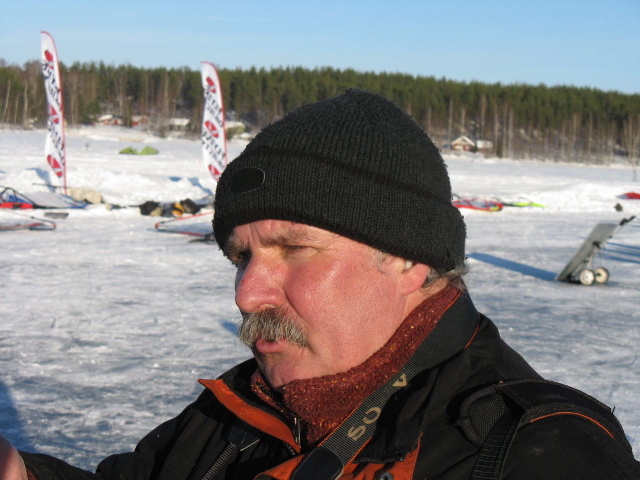 For the European race destinations with traditional black ice the best choice would be Polish design with three blades from a DN iceboat. The team has also mangaed to test a new series of affordable sails from Neil Pryde Racing. 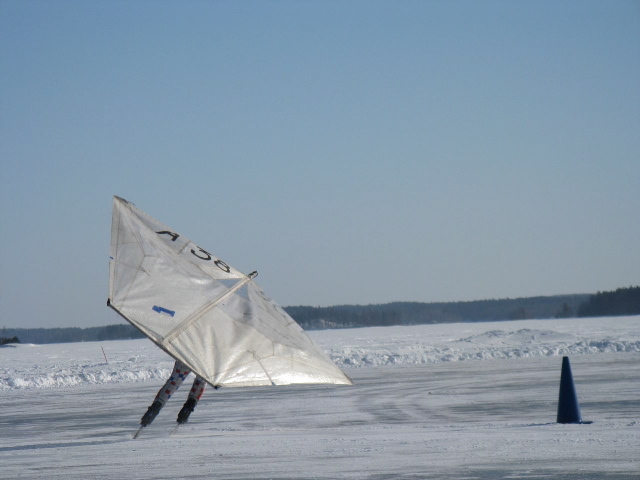 The 5.5 sq.m sails exhibited very high speed and excellent controllability on the ice. This kind of preparation test drives will allow Russian sportsmen to claim for higher positions in the European and World ratings as well as set the targets for the recent entrants to the competitive sport. 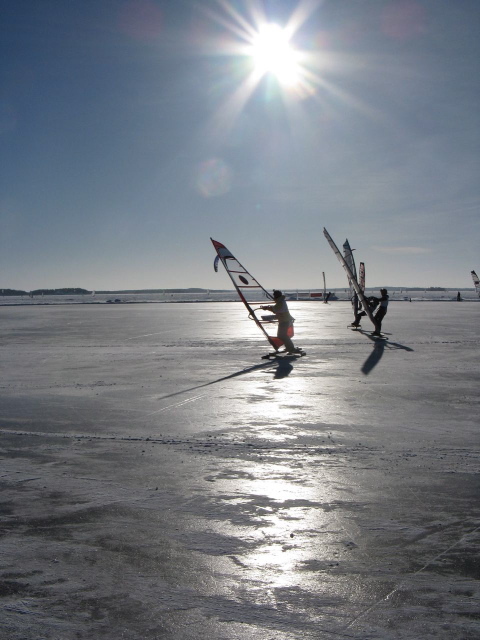 The 7th international marathon “Zhigulyovskoe Sea 2012” will take place in Togliatty from 1st to 5th of February. This time our project is named “International Festival Marathon “Zhigulyovskoe Sea 2011” because the our previous events proved to be more than just sport events. 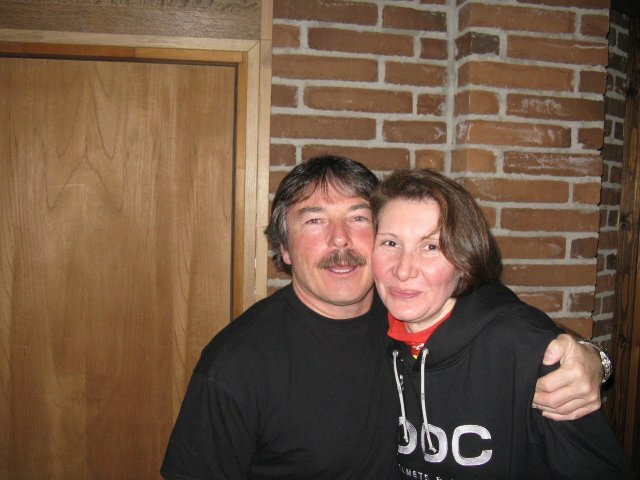 We did our best to set up a pleasurable, interesting, fun, informative and memorable event. 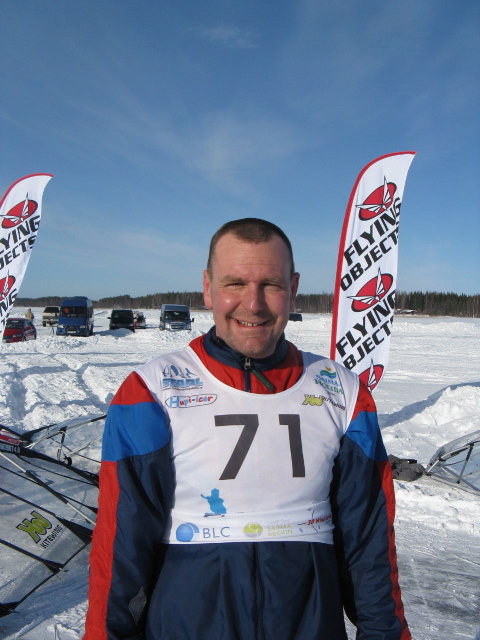 Our Festival is the major event of the winter and sporting competitions. 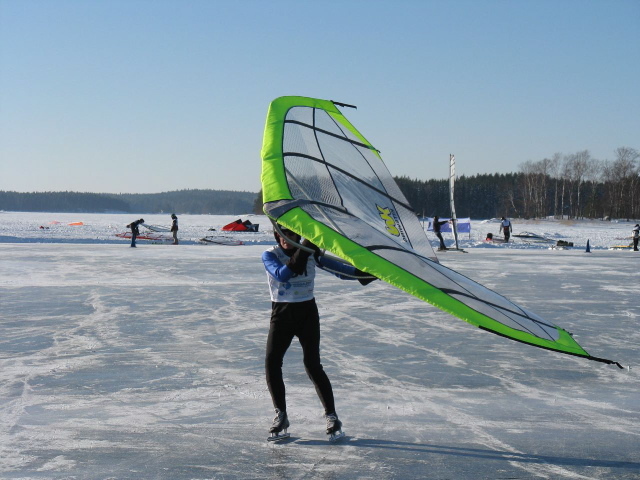 As usually we are included in the official list “plan-calendar of Russian events on sailing sport – winter kite class, for 2012 year”. The format of the Festival have not changed. It will consist of the series of marathon races and freestyle competitions. We are prepared to set up the marathon trail according to the racers recommendations. The GPS tracking services for marathon racers will be available and is in continuous development. We are also creating a specialized park to make freestyle performances more spectacular and entertaining. “Zvezdny” resort will traditionally receive our guests. The resort personnel are doing their best to make participants accomodation cozy and enjoyable. “Zhara” bar-restaurant is the usual meeting place after races. All Festival participants will have an opportunity to test new kite equipment from the world leading manufacturers. Festival spectators and guests will have an opportunity to get basic lessons in kite piloting with help of professional instructors. The entertainment program is also impressive – riding in indoor swimming pool “Olymp” using a hoister, a visit to Rock`n`Roll night club, Russian baths and at the end of the event – stand up party. 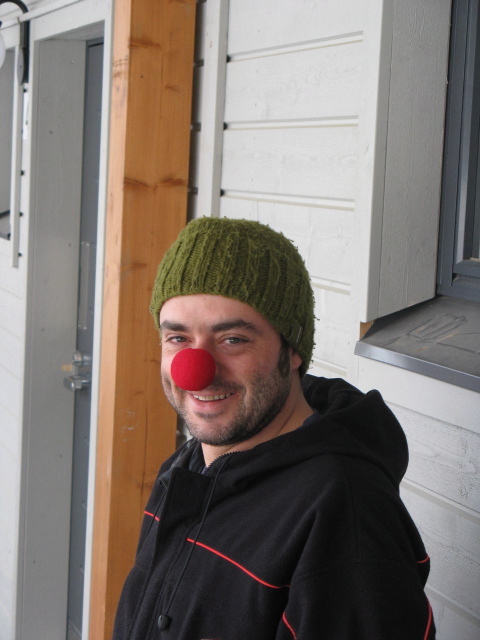 The main idea of the Festival is a meeting and making new friends and having fun! Please fill out the application form and send it to us as soon as possible! 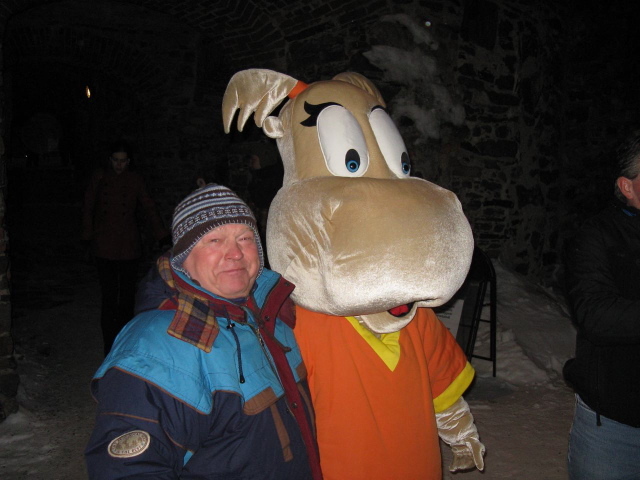 Everyone is welcome to the banks of Volga river in the beginning of February 2012! TV-companies: «Russian Travel Guide», «VAZ-TV», public state-owned TV and radio company «Samara», «NTV», «MTV» (Samara), «SKAT», «TERRA-REN TV», «LIK», GIS «Samara», STS (Togliatti), «Guberniya», «TERRA-Sport», «Novokuibyshevsk-TV». Magazines: «Extremum», «Telesem», «Dorogoe udovolstvie», «LIneup Mag», «Lyudi Xtreame», “Pervyi”, “TimeOut” (Moscow) . Radio: «Radio Togliatti», «Lada-FM», «Avtoradio», «Love radio» (Samara), «Militseiskaya volna» (Samara), “Russkoe Radio Togliatty”. Information Agency: «Interfaks Povolzhye» (Nizhniy Novgorod), Information Agency «Samara Business Consulting», Information Agency «RIA-Novosti». 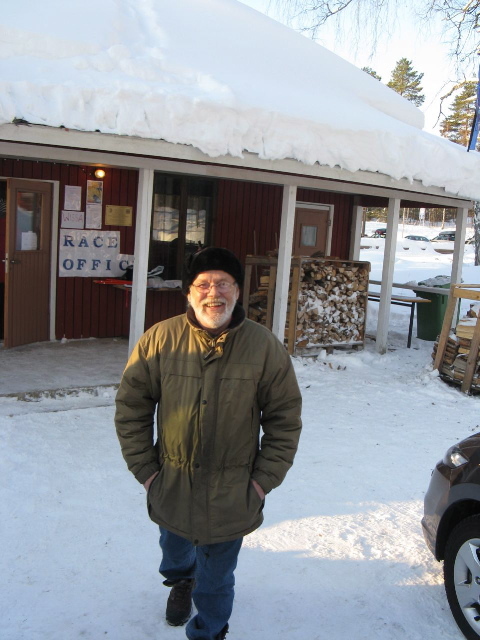 Dan Hill giving a tour of the WISSA 2012 event location in beautiful St. Ignace, Michigan USA to share a little about the area where the competition will be held.